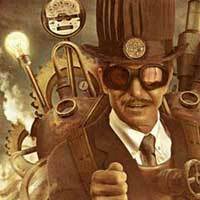 Although "steampunk" has been around for awhile in underground circles, it's only recently come into the mainstream. So what is steampunk? What the heck is it all about? "This quasi-historical, but ultimately fantastically anachronistic style is both romantic and, well….punk. " First off, steampunk is a genre of fiction. The term 'steampunk' was first coined to describe a genre of fantasy and exploratory fiction that was influenced by the Victorian and Edwardian eras. In the tiniest of nutshells, steampunk could be called"Victorian Futurism". Why Victorian you might ask? I mean, why are people attracted to this era? The Victorian era was a time of increased prosperity and creativity, as well as elaborate fashions. Mix the two together, and throw in a dollop of fantasy, and you have endless fodder for the imagination. Steampunk themes include things like adventure and exploration, futurism, machinery and automata, aviation, strange and unusual mechanical inventions and transportation. Steampunk literature typically describes worlds where there are strange and unusual modes of transport, take place in Britain and America, although there are international adventures too. The worlds are sometimes utopian, and sometimes dystopian. They are not simply stories of Victorian times. There are always fantasy and science fiction elements. 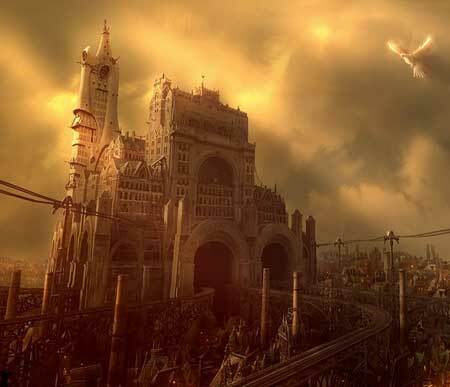 Steampunk style is anything that fits within the "themes" of steampunk literature and has a Victorian flavor. Victorian style favors things like lace and cameos, long coats and bustles, frilly umbrellas and ornate pocket watches. Steampunk themes are things like inventions, machinery and automata, exploring, and adventure with a fantasy and/or science fiction flair. If you can image how one in Victorian times, with a Victorian frame of reference might imagine the future to unfold, with fanciful inventions, ornately styled robots and time machines, "tinkering", Victorian, top hats and pocket watches, possibly mixed with fantasy type imagery like fairies and crystals, then you are starting to get the "feel" of steampunk. What would a Victorian robot look like? ; or a Victorian fairy who drinks absinthe?